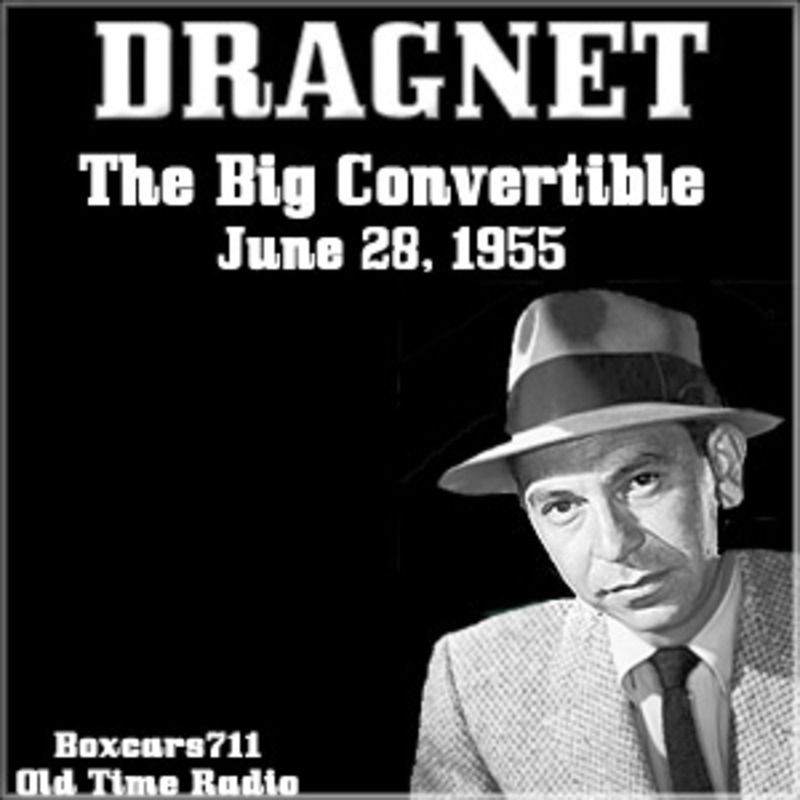 Dragnet was a long running radio and television police procedural drama, about the cases of a dedicated Los Angeles police detective, Sergeant Joe Friday, and his partners. The show takes its name from an actual police term, a Dragnet, meaning a system of coordinated measures for apprehending criminals or suspects. Dragnet was perhaps the most famous and influential police procedural drama in American media history. The series gave millions of Americans a feel for the boredom and drudgery, as well as the danger and heroism, of real life police work. Dragnet earned praise for improving the public opinion of police officers. Actor and producer Jack Webb's aims in Dragnet were for realism and unpretentious acting. He achieved both goals and Dragnet remains a key influence on subsequent police dramas in many media. THIS EPISODE: June 28, 1955. Program #306. NBC network origination, AFRTS rebroadcast. "The Big Convertible". A man cashing bad payroll checks all over town has been using a rented car. Jack Webb, Ben Alexander. 25 minutes. Episode Notes From The Radio Gold Index. 3698 episodes available. A new episode about every 5 hours averaging 29 mins duration .